This entry was posted on March 10, 2016 by Van Rental. Hiring a van for the first time can be quite daunting. However, you’ll find that in most cases the rules are the same as for hiring a car. In this post I’ve provided answers for five of our most commonly-asked questions. However, remember that these are a general guide: each hire company has its own rules, which may be slightly different. A: You’ll need a valid UK photo card driving licence or an old-style paper licence. Remember that the paper counterpart to the photo card was abolished on 1 June 2015 and is no longer valid. To enable the van rental company to check your driving record online you will need to provide an access code from the DVLA. These are available free of charge at www.gov.uk/view-driving-licence. Codes are only valid for 21 days. If you are able to, you should also print out the driver summary page from the website. Drivers with non-UK licences may need translations or an International Driving Permit. Some restrictions apply for drivers with non-EU driving licences. GOV.UK has more information here. Q: Will I need a deposit? 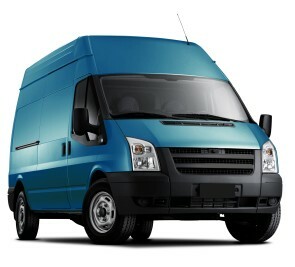 A: You will normally be asked to provide a deposit when you collect your hire van. Most hire companies will ask for a credit or debit card on which they will reserve the deposit amount. This will then be released when you return the vehicle undamaged. Cash and cheques are not normally acceptable for deposits. Q: Will the van come with a tank of fuel? A: Different companies operates different fuel policies. One possibility is that you pay for a tank of fuel up front and can return the van without refilling it. Other options are that you must return the van with a full tank or with the same amount of fuel it had when you collected it. Q: Will I get unlimited mileage? A: Some companies provide unlimited mileage, but some operate daily mileage limits. 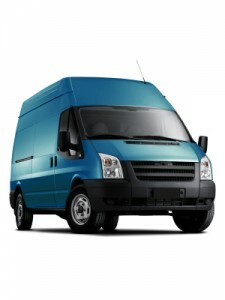 It’s important that you ask the company you are hiring the van from as excess mileage payments can be quite high. A: Most hire companies provide comprehensive insurance. However, you will still be liable for a substantial insurance excess charge if the vehicle is damaged. This is often more than £500. To reduce the excess and include additional protection, such as windscreen cover, you must purchase additional insurance. This is often known as Collision Damage Waiver (CDW). Another alternative which may be cheaper is to buy van hire excess insurance from a third-party insurance firm (see here for details). More questions? Try our Van Hire FAQs page or our Van Hire Jargon Buster. We’ve also got guide for MOVING HOUSE and DRIVING A VAN FOR THE FIRST TIME.